With the use of Reason, there is only one outcome or one True answer to a problem. The right answer is usually the answer dictated by Europeans who allegedly used REASON to obtain their conclusion. And the right answer will always prove itself—someway, somehow. This is why democracy and free-market capitalism rely on Reason because the True will reveal itself and silence any dissent, because dissent would be based on false reasoning. Alexander Hamilton, a federalist, like his peers, distrusted democracy because they knew that the public often believed in false news, rumors, hysteria, etc. If the public were allowed to vote, which they were not, it could lead to utter ruin. Therefore, Hamilton suggested that the founders create an Electoral College to oversee democracy in case the public gets it wrong. As we know in the U.S. electors’ votes trump the popular vote. Electors were to be men of education, men with the capability of using Reason instead of giving into emotions or hysteria. It was not the job of electors to represent the populace; it was their job to be white, male, property owners, who were smarter than the public. To use Reason appropriately, a person needs information—accurate information—without which a person would be unable to make an informed decision guided by the light of Reason. Imagine the quality of the previous presidential debates. Political figures work hard NOT to answer questions. Moderators ask questions that cannot be answered in a fifteen second window of time. And if they do—we probably shouldn’t vote for them. The role of accurate information is also important in capitalism. In the same way that a person makes the Right decision for president given the facts at their disposal, they do likewise when purchasing goods. According to the self-interest modal, the individual know what is best for her. People, using Reason, will buy only what they need or want. Producers will note the people’s demand, shift their production to meet demand, compete with each other, and produce a superior product that people want—all the time Reason is the driving force behind the decisions consumers and producers make. But imagine a world, where producers create demand. Imagine a world where Reason doesn’t exist, where the ‘best’ possible choice of products is determined by an aura of hyper-reality. This is capitalism today. We could even go so far as to say that producers have hegemony over demand. They create demand and fill it the individual is a medium through which producers create more capital ad infinity. 18th century public and political debates between British merchants over the “state of the African trade” not only contributed to modern economic theory, but also helped set the standard for the roles, expectations, and relations between private merchants, corporations, and the state in Britain’s expanding Empire. Historian William Pettigrew recently argued that the modern liberal notion of free trade, often associated laissez faire capitalism, emerged in the late 17th century as a rallying cry for private English merchants to trade with Africa for slaves. Prior to debates over free trade, the Royal African Company held a monopoly on the African trade through the royal patronage of King Charles II. But after the Glorious Revolution in 1688, parliament overthrew the previous Stuart lineage and invited William and Mary to rule England. Britons argued that because King Charles II granted the monopoly without consulting, the monopoly was not only illegal, but an infringement on the natural liberties of free Englishmen to trade with Africa for slaves. The Royal African Company tried to compete with private traders, but according Davis (the prominent RAC historian), the RAC was unable to compete because the company had to provide governance and maintenance for a series of company trading post along the African coast. Parliament, however, recognized the importance of the trading establishments during the initial debates between private merchants and the RAC, deciding that the establishments were important signs of possession on the coast (the signs of possession were most likely for Britain’s European rivalries; Britain did not own the establishments, instead the company rented the land from the local community). Because of this importance, Parliament awarded the RAC a yearly stipend for the maintenance of the forts, parliament acquired this stipend through a ten percent tax levied on individual traders. But the RAC still complained that the stipend was not enough and that they could not compete with individual traders. In 1750, the RAC fell into bankruptcy, closed its doors and the establishments became the subject of heated debates in the halls of Westminster and even in the public press as merchants, rhetoricians, officials, etc. weighed in on the debate. Up until the middle of the 18th century (a even beyond), England expanded through the use of corporations. According to recent revisions on the early modern English state, historians such as Michael Braddick argued that the English state was relatively weak well into the 18th century and that the state consolidated control of the outer English provinces, generally, through compromises and cooperation with provincial leaders. Another historian, Philip Stern, who focuses on the British East India Company argued that the EIC operated like a company state, meaning that it was well organized, efficient, provided its own military support, incurred its own costs, etc. Early companies, especially monopolies, expanded the frontiers of the Empire and served as a model for proper and efficient governing (not all the time). But after the Glorious Revolution, the state became more efficient at collecting taxes and began to expand, most likely in part because parliament controlled the purse-strings and held sway in decisions concerning trade. At first, private trade (or free trade) seemed like a horrible idea to the old mercantilist vanguard. Author Aphra Behn captured aristocratic fears of opening trade to any free Englishmen. Not all Englishmen, Behn argued in Oroonoko, were honorable. In fact, she considered many Englishmen as scoundrels. In her book Oroonoko, a Coromantyn Prince (Oroonoko) and his wife (Imoinda) were kidnapped from the African coast and sold into slavery. They were sold into slavery by an honor less Englishmen. For Behn, the honor less Englishmen were commoners, nor aristocrats, etc. Although mercantilist and “company men” feared that Englishmen would ruin the trade by kidnapping royalty in Africa (which they did), these men were concerned not only with the conduct of Englishmen, but also the protection of the African trade from rival Europeans — the French. Companies, too, were hierarchical meaning that the commands of the Crown could be communicated through the ranks of a company and the company would be more likely to carry out directives from Westminster. As mentioned above, companies such as the RAC and EIC provided military support and protection for English interest (loosely defined). Individual private traders could not offer the same support and protection for the nation. Critics of free trade even went so far as to suggest that free traders would probably aid England’s enemies. Critics of free trade also accused individual merchants of putting their own interest before the interest of the nation, thereby accusing individual merchants of a serious moral violation that could inevitably affect the whole country. But towards the middle of the 18th century, support for ideas such as natural order and self-interest gained popularity. These ideas, of course, are often associated with the philosopher Adam Smith, who argued that principles of self-interest in a larger economic sphere were directed by natural forces thereby creating a greater sense of order out of what seemed like selfish motives and happenstance. Self-interest will emerge again in the writings of Hippisley. Britons, however, quickly recognized the benefits of free trade. Free trade provided the Caribbean sugar plantations with far more slaves than the RAC could have delivered. The extensive number of slaves transferred to the Americas and the sheer wealth generated by free trade made it a staple of modern economic thought. Parliament, however, was in a bind. English merchants had successfully made their case that it was their natural born liberty to purchase and sell slaves; free trade had proved highly successful; but after the RAC closed, who would govern and maintain the forts? The Board of Trade and Plantations did not want to take on the responsibility of the forts, though their reasons were not clear, some contemporary commentators believed that the state had no business being involved in commerce. Several groups of merchants from London, Bristol, and Liverpool (the leading slave ports) argued that a joint-stock company should take control of the forts. Though these men did not argue in favor of monopolies nor should they be considered mercantilist because they did not all agree in the core beliefs of mercantilism, such as finite wealth, bullionism, and especially the notion of a strong state that dictated trade common to mercantilist thought. These were “company men.” They believed that companies were more efficient than individual traders for the reasons given above. Because a joint stock company sold shares to the public, the company (employees included) had a responsibility to generate profit fro share holders, thereby providing employees with the incentive to do a thorough job at whatever it was they were supposed to do — like guard the forts. Adam Smith, of course, disagreed, but we will get to that later. Because joint-stock companies operate off of a profit motive for the entire company, parliament worried that a joint-stock company would needlessly compete with individual slave traders on the coast, thereby undermining the benefits of free trade. Competition with France and even the influx of British slave traders in Africa were already driving slave prices up. Parliament did not want to harm the nation’s most lucrative trade. But France was encroaching on the English slave trade. The RAC had defeated a French garrison that was intent on destroying Cape Coast Castle (the headquarters for English African Companies in present day Ghana), but without the RAC who would protect the slave trade? 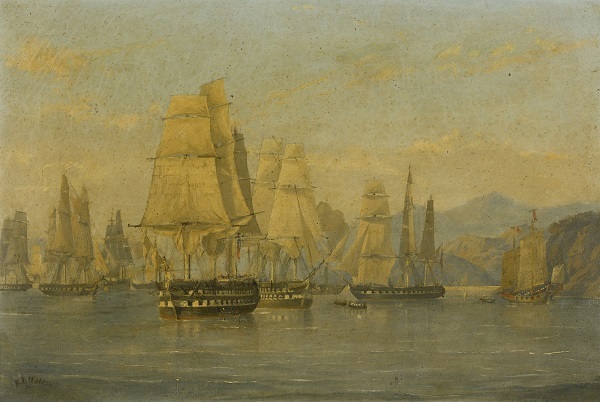 British officials decided to create an experimental company to govern and maintain the trade establishments, while the British navy patrolled the African coast. They created a regulated company called the Company of Merchants Trading to Africa. A regulated company differed from a joint-stock company, primarily, because members of a regulated company did not work for the general good of the company. For instance, a Briton would pay a fee to become a member of a regulated company — not a stock. This fee allowed the Briton to use the facilities of the company, if the company had facilities, but the Briton was also obliged to following the general rules of the company, this assured an overall sense of good conduct among members to help facilitate trust, which was essential for trade. But each member traded for their own profit, not the profit of the company. According to the charter of the Company of Merchants Trading to Africa, the sole purpose of the company was to govern and maintain the forts. A committee of nine men, three from each of England’s primary trading ports, controlled the company from England. According to historian Eveline Martin, the main duty of the committee centered on acquiring a yearly stipend from parliament for the establishments in Africa. The CMTA, obviously, was publicly funded both through taxes and a “membership fee” that individual merchants had to pay the company to use the establishments — totaling 40 shillings. In Africa, each of the establishments was governed by a “chief” or simply “governor.” The Governor of Cape Coast Castle lead the council of governors on the African coast. Wary of competition that might arise on the African coast between English merchants, parliament included a clause in the company’s charter forbidding company employees from trading in a corporate capacity for profit. In other words, employees were only supposed to govern and maintain the establishments for individual English merchants. Part of the company’s job in aiding the English slave trade was to keep the forts well equipped with goods that were in high demand with the local Fanti merchants. Company employees were to purchase slaves at favorable prices using said goods and then resell the slaves to the slave traders. The committee was tasked with supplying the forts wit tradeable merchandize. This became a problem as the committee was not always aware of what was in demand in Africa. Paying company employees on the coast, however, ended up worse than supplying the forts. The committee paid its employees with tradeable goods that employees were supposed to exchange on the coast for their pay. Just like the fort’s supplies, the committee often failed to know what was in high demand on the coast. In many cases, employee pay was worthless. As Martin suggested, the problem with the CMTA from start to finish was the deplorable state of management. Though Adam Smith would disagree, but we will get to that later. Many employees, especially the chiefs of the establishments, sold slaves from coast. Richard Brew, for instance, became a prominent slave trader on the Gold Coast and he finally assimilated into the Fanti community. Brew, however, started out as a chief and when he got caught trading slaves in 1753, Brew quite the company and went into business for himself. According to Margaret Priestley, Brew’s influence on the coast grew and when the Seven Years War began, the CMTA hired him back, knowing quite well that Brew was using the company’s facilities for his own personal gain. Both individual merchants and “company men” complained that employee trade on the coast was causing slave prices to rise. In 1753, a series of affidavits accused various employees of monopolizing trade on the coast, thereby causing prices to rise. Brew, as mentioned above, was one of the major culprits, but so was John Hippisley. In an affidavit, a merchant accused Hippisley of threatening to beat a private English trader who landed at Winebah where Hippisley served as chief. After the Seven Years War, England acquired a French trading post in Senegambia. The CMTA petitioned the government to acquire the trading post, but the companies reputation preceded it and the government turned down the company’s request. In fact, the state sent the English military to occupy the trading post, marking the first time the English military got involved in the African trade before the end of the 19thcentury. The larger pictures shows that when free trade emerged, the state needed to become more involved in trade to protect merchants, which is the opposite impression we get from free trade proponents today. Africa was not the only place where the English had a trade deficit, but it differed from China and India. For instance, money flowed to China and India, but the state and the East India Company actively sought to undermine local manufacturing practices. The African trade was carried out by more than one company, it would have been difficult to carry out a single policy to undermine local slave traders because of the competition between the Royal African Company and the private merchants—not to mention other European traders. Africans, also, did not allow Europeans to go inward, nor were they able to because of disease. The African trade spurred industry in England. Gunpowder and Brass, specifically, became major trade items to Africa and these were produced in Bristol and other places. Although some contemporaries knew about African dominance on the coast, information about trade in the public sphere was political and in many cases the strength of the Fante over the company was either misrepresented all together or portrayed as weakness of the company. Private merchants complained that the company dominated trade, thereby causing slave prices to rise, while joint-stock advocates argued that the company was too weak to force the Fante to open roads leading inland, where they thought Africans were more abundant and therefore cheaper. Extra pressure was laid on the company because Gold Coast Africans were often preferred over slaves from other regions. Prices had been increasing since the trade was open to the English public and as demand grew in the Americas, so did the price of slaves. Although this is widely recognized by historians, African agency is lost to notion of natural market forces of supply and demand. The price of slaves at company outposts costs more because it cost the company supplies to house and feed the slaves, though contemporaries thought that the supplies provided through parliament should have made up for this difference. [quote from Hippisley] In the mid eighteenth century, the African Gold Coast was facing a dearth of slaves imported from the hinterland because of internal political conflicts between the Fante and the rising power of the inland Ashante power. Slaves, further south, were more abundant and cheaper and the general trade started moving in that direction, but according to company adversaries, this southern trend was the fault of the company. It was complained that the company lacked the means of forcing the inroads open and that the RAC could have done it, but this accusation simply ignores the power structure on the coast. Any force exerted on the Fante by Europeans was met with resounding counterforce. Simply put, the company was not in a position to force the Fante to do anything. What’s more is Britain supported the Fante in their strife with the Ashanti, though the company did trade with the Ashanti when they could, they were not likely to undermine Fante coastal institutions and norms in case they offended the Fante and were kicked off the coast. After the Seven Years War, England acquired a French trading post in Senegambia. The CMTA petitioned the government to acquire the trading post, but the company’s reputation preceded it and the government turned down the company’s request. In fact, the state sent the English military to occupy the trading post, marking the first time the English military got involved in the African trade before the end of the 19thcentury. The larger pictures shows that when free trade emerged, the state needed to become more involved in trade to protect merchants, which is the opposite impression we get from free trade proponents today. There are few paradigms more tightly connected with the Scottish Enlightenment than the four stages theory. Yet it arguably remains one of the least understood. James Tassie, Medallion of John Millar (1767). Courtesy of the University of Glasgow Archive Services, University collection, GB 248 UP3/26/1. Slaves provided Southerners with capital, which they could mortgage to aquire more capital. The financial status of slaves and its contribution to American capitalism has become a major topic in the New History of Capitalism. Mortgaging slaves helped build Louisiana’s infrastructure, but to what extent remains unknown. In antebellum America, Southern states benefited from slavery in many different ways. One of which was confiscating ‘illegal’ slaves and re-selling them. The proceeds of which went to the state. In Louisiana, children born to black women in prison were automatically sold as slaves to the highest bidder. See: Born in the Penitentiary: Women and Children Incarcerated in Louisiana, 1833–62. Benjamin Franklin is the founding father who winks at us. George Washington’s colleagues found it hard to imagine touching the austere general on the shoulder, and we would find it even more so today. Jefferson and Adams are just as intimidating. But Ben Franklin, that ambitious urban entrepreneur, seems made of flesh rather than of marble, addressable by nickname, and he turns to us from history’s stage with eyes that twinkle from behind those newfangled spectacles… We see his reflection in our own time. The English make the principal body of white people on the face of the earth. I could wish their numbers were increased. And while we are, as I may call it, scouring our planet, by clearing America of woods, and so making this side of our globe reflect a brighter light…why should we in the sight of superior beings, darken its people? Why increase the sons of Africa, by planting them in America, where we have so fair an opportunity, by excluding all blacks and tawneys, of increasing the lovely white and red? Walter Isaacson’s biography of Benjamin Franklin evokes familiar praise for America’s founding fathers often located in popular narratives about American history. Isaacson believe ‘Ben’ stands out from the other founding fathers as an accessible, friendly, but extremely intelligent average joe. “he was America’s best scientist, inventor, diplomat, writer, and business strategists.” By portraying himself as a backwoods sage,” Isaacson argues, Franklin tried “to create a new American archetype.” After all, “We see his reflection in our own time.” Maybe Franklin succeeded in creating this new archetype, but no in the way Isaacson imagines. The election of Donald Trump to the American presidency shed light on the prevalence of slavery, invisible to so many white Americans. We have not come a long way since the Civil Rights movement in the 1960s. And if anyone has doubt whether Trump’s base is racist, let us remember that former Klan Wizard David Duke encourages fellow white-supremacist to support Trump. As most minorities know, race did not disappear. Although writers celebrate American exceptionalism and hero-myths of the founding fathers, many other scholars show that that race was a central concern in colonial and antebellum America. In fact, race is a quintessential aspect of American history. Franklin’s Observations Concerning the Increase of Mankind portrays two important historical perspectives—American exceptionalism and Universal History—and their relation to racism. American exceptionalism is predicated on the idea that America differs in kind with any other nation. Franklin viewed America as the “city upon the hill” a beacon for modernity and the Enlightenment. American exceptionalism focuses on the idea that it was created consciously created through a rebellion and a utopian vision of working republic, where all people—white men—were created equally. America did not have the long history of monarchies and traditions that obscured Reason’s search for truth. Franklin argued that the main duty of a founding father was to civilize a territory. During the Enlightenment, scholars developed Universal History, which suggested that all human societies followed the same path of development. Although there were variations according to specific scholars, the most prevalent timeline of development suggested: in the beginning were hunters and gathers (known as savages). The second stage was pastoralism or husbandry where societies depended on animals and simple horticulture (referred to as barbarians). Scholars argued that agriculture, the third stage, was quintessential component of civilization. Scholars also considered a fourth stage—commerce. John Locke stated that “in the beginning everything was America,” meaning that indigenous American presented an early stage in social development and that the land was untouched by civilizing factors— agriculture.It was the duty of America’s founding fathers to implement civilization. “America is chiefly occupied by Indians, who subsist mostly by Hunting.” Hunters and gatherers owned no land (private property), which was a quintessential aspect of civilization. The founding fathers of a nation, according to Franklin, were to start factors of civilization e.g. private property and agriculture. Once the founding fathers eradicated Native Americans, white people could easily settle the land, but they needed laborers for their plantations. Britons made the mistake of using Africans for slavery. This affected Europeans’ work ethic. “The negroes brought into the English Sugar Islands have greatly diminished the whites there; the poor are by this means deprived of employment.”In the Northern colonies, slaves are not in as high demand as the sugar plantations. However, “slaves also pejorate the Families that use them; the white children become proud, disgusted with labour and being educated in idleness are rendered unfit to get a Living by industry.”Slavery, in other words, made white people lazy. Franklin’s study of populations reflects a trans-Atlantic interest in the study of populations for reasons of state. “Demographic concerns shaped projects of social engineering, Empire building, and economic improvement” Ted McCormick, from above quote. In the History of Sexuality, Foucault argued that “one of the great innovations in the techniques of power in the eighteenth-century was the emergence of ‘population’ as an economic and political problem.”⁠Foucault revealed how discourses created both an epistemology and ontology of the subject of the discourses i.e. knowledge of sexuality created and defined sexuality itself. For Foucault, ‘populations,’ aided in creating biopower over people. Biopower, according to Foucault, is a type of knowledge/ power over biological subjects, a power that creates standards of normativity, ideal kinds of biological states, etc. Slave populations presented Europeans with an easy means of manipulating populations through labor organization. 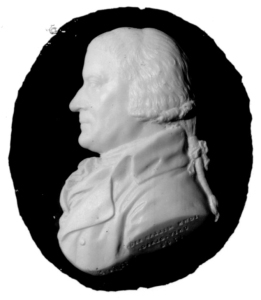 Franklin’s essay can be seen as a form of bio-power on a large scale, as he wanted populations to be controlled so that only whites inhabited America. Franklin’s essay portrays a nation engineered using biopower to create a haven of white Europeans. This rhetoric continues in today’s racial divide with Trump as the front man “to make America great again.” He spent most of his presidency undoing the policies of Barack Obama. Although Obama was a typical imperialist, he was also a black man and this infuriated Trump and his followers. America is far from an egalitarian nation stratification between race, class, and gender is a hallmark of American history. Franklin’s essay is one voice among many that sought to engineer a white populace. Isaacson, Walter. 2004. Benjamin Franklin. New York: Simon and Schuster. Benjamin, Franklin. n.d. “Observations Concerning the Increase of Mankind, 1751”. Ardent Media. Accessed January 10, 2019. Here I use ‘racism’ loosely. Racism as we know it today, emerged in the 19thcentury, when thinkers tried to apply biological aspects to different people. As we know, there is no biological determinant of race e.g. all humans are part of the same species. In the eighteenth century, there was no concept of race, Enlightenment thinkers offered theories about the effect of climate on societies that made nations differ from each other. Lowi, Theodore J. 1996. The End of the Republican Era. Norman: University of Oklahoma Press, 3. Benjamin, Franklin. n.d. “Observations Concerning the Increase of Mankind, 1751”. Ardent Media. Accessed January 10, 2019, 221. Foucault, The History of Sexuality, 25. Benjamin, Franklin. n.d. “Observations Concerning the Increase of Mankind, 1751”. Ardent Media. Accessed January 10, 2019, 224. Between 1500 and 1800 the city of London changed—a lot. It was over this period that we begin to see the development of a London that we might recognise. By the end of the eighteenth century the city had many of its modern-day hallmarks: political power was linked to the metropolis, it was a driver of fashion and popular culture, it was a centre of a globalised world, and the city had grown to include what would have previously been considered its suburbs. The existential changes in London’s nature, and the way in which the history of London can be linked to the history of England, make it a compelling place to study. Understanding early modern London means understanding how it transformed from its medieval origins to an archetype of modernity. This field of study has, however, faced several difficulties recently. So, with this in mind, in October we brought together a group of historians whose work on London we felt is particularly innovative to talk through what, exactly, early modern London was. The idea for this workshop originally came from the recognition that we were all working on the history of London in some capacity. This may sound obvious but as historians we’re often trained to think of the work we do in certain ways. We all think of ourselves as social historians and within that label as social scientists (Dom), historians of government (Esther) or cultural historians (Jonah). Despite these different fields of study, we were all researching groups of people who lived in London and would often find ourselves together in the London Metropolitan Archives—using sources from London. It then became apparent that this wasn’t an issue faced by us alone. There are plenty of historians working either in or on London who wouldn’t see themselves as historians of London. They might instead have as a primary motivator a historical theme (religious history) or a group of people (foodsellers or guild members). We thought it would be worthwhile to bring these different perspectives together for a discussion on early modern London more generally, and to ask what different focuses and methods could bring to the study of the city. London in the late sixteenth century: too big for one historian? As we started to plan the workshop it became obvious that there are many issues in the history of London that can’t be solved by one single historian, or a small group of historians. One recurring issue is that the study of London in this period is so broad. London was a very different place in 1500 than it was in 1800, for a variety of reasons including demographic, religious and political change over the period. Does it really make sense to assume that we can have a coherent picture of London that spans the sixteenth, seventeenth and eighteenth centuries? If it doesn’t, where and how do we split the period? The existing scholarship on the city has tended to fall into two sets of writing: pre-1650 and post-1650. This seems to make intuitive sense: Londoners’ experience of either half of the mid-seventeenth century was likely to be very different, given the impact of the civil war and the fire of London. The cityscape as well as society and politics changed over this period. If this existing split in the scholarship made sense, we wanted to know how far we should push it. Should and would historians feel comfortable talking about an early-early modern and late-early modern London as separate entities of enquiry? These temporal issues aside, London remains a difficult place to write coherently about. Being in London could mean very different things depending on where you lived and worked. The city of London itself was subject to different rules and regulations than the suburbs (i.e. anything outside the city walls). These two areas also had different demographic make-ups. How, then, do we, as historians, write about these different Londons? To take a modern example, Deptford, Islington and the Barbican are all part of London—but the experiences of those living there differ in important ways. We wanted to know how we can be attuned to the nuances of London’s history when writing about it. A related issue is that of London’s many jurisdictions and institutions. Writing about London often means relying on a set of institutional records. Using London’s church court records, for example, tells us a lot about how early modern Londoners went about getting married, cheated on their partners, or slandered each other in the streets. These records also give us a history of the diocese of London—which, at that time, included a good part of Essex, Middlesex and Surrey. Using records from the Old Bailey Online gives a different picture of London: one defined by criminal behaviour and marginal forms of action. The livery company archives tell us a lot about the livery companies themselves, as well as the artisans and tradespeople that belonged to them. But, again, the information here is circumscribed—it pertains to certain groups of people and sets of practices. Trying to fit work on different institutions and archives into a broader picture of early modern London is a difficult task, and as we noted above not one likely to be achieved by a single historian. These are all substantial issues in themselves, but they are compounded by the fact that the historiography of this field is uneven. The history of London has, therefore, been defined by a few foundational texts and ideas. Ian Archer and Valerie Pearl, in the nineties, focused on how London was governed and whether it was a ‘stable’ society. Jeremy Boulton wrote a key study of neighbourhood and mobility based around the London suburb of Southwark. Many of us wanting to do quantitative work on London use the work of Steven Rappaport as a starting point. And much of the later history of London has been defined by the study of crime and criminals by Tim Hitchcock and Robert Shoemaker. Each of these themes and focuses have limitations—Southwark and criminals were not representatives of all of London. So, for us, there remains the question of how we write about London in ways that engage with this previous scholarship but are not completely defined by it. With these issues in mind we put our workshop together, inviting academics who we felt could give new and exciting perspectives on the history of London. The aim was to discuss these problems in more detail, trying to find attitudes and methods that could address them. We wanted to understand how new generations of historians could seek to write an ‘integrated history of London’ that could be, at once, specific and general. We wanted this workshop to be the start of collaboration and conversation between historians working on London. We hope that by bringing individuals into contact with each other we could start to tackle some of these big issues in the history of early modern London. And, in turn, we could get a better idea of what early modern London looked and felt like, and what it meant to be an early modern Londoner. More importantly, we hope that the other participants in the workshop and readers of the posts will join the conversation by posting comments or questions here or on twitter (#IntegratingHistories2019). How do we help students understand that history has relevance to their lives? This is an enduring challenge: every generation of students—indeed, every cohort—is shaped by its own distinct array of experiences. In order to make history meaningful to them, we need to connect it to their interests and concerns, finding new ways to make our classrooms places where the past informs the present. It was in this spirit that I decided to update one of my courses last spring. I did so by adapting the History and Policy Education Program(HPEP) offered by the National History Center, which I direct. The program offers a curricular model that history faculty can use to connect their course content to contemporary policy concerns.